Home News Four-lane motorway for Accra? Works to expand the existing two-lane motorway between Accra and Tema into a four-lane route each way are scheduled to begin by the end of 2012, according to reports in local media. A source at the Ghana Highways Authority (GHA) told Accra newspaper Public Agenda that an agreement had been reached between the roads ministry and two private construction companies, although details of the deal have yet to be released. The source also said that the government is exploring the potential of other public-private partnership (PPP) schemes in the financing, construction and management of the country's road infrastructure. The planned motorway expansion is designed to reduce travel time between the capital and the harbour city of Tema, 19 km further up the coast. It is believed that the expansion could lead to a number of permanent structures such as offices, warehouses and electric pylons being relocated to make way for the motorway. 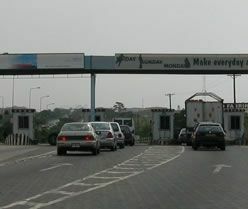 Coverage by local media in 2011 highlighted the hazardous surface of the Accra-Tema motorway – built in 1964 – including widespread potholes, lack of illumination, and bridges in dangerous conditions. The roads ministry said recently that the total revenue gained from tolls on the country's roads only covers about 60 per cent of road maintenance, but that with the continuing increase in traffic the toll income is rising.